Hope you are doing well by Swami’s Divine Grace. 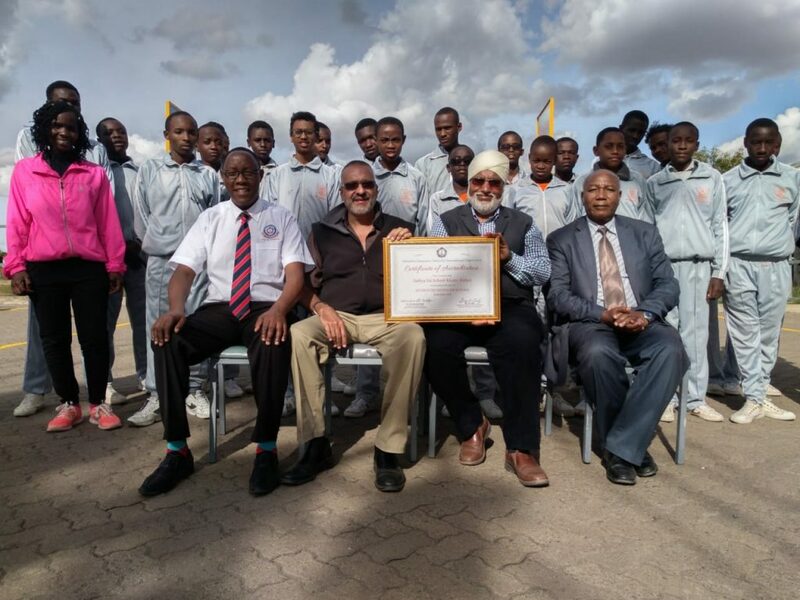 On behalf of Education Committee, Sathya Sai International Organisation, it gives me great pleasure to send you the Certificate of Accreditation duly signed by Dr Narendranath Reddy, Chairman, Prasanthi Council, SSIO and Mr Gary Belz, Chairman, Sri Sathya Sai World Foundation, SSIO. 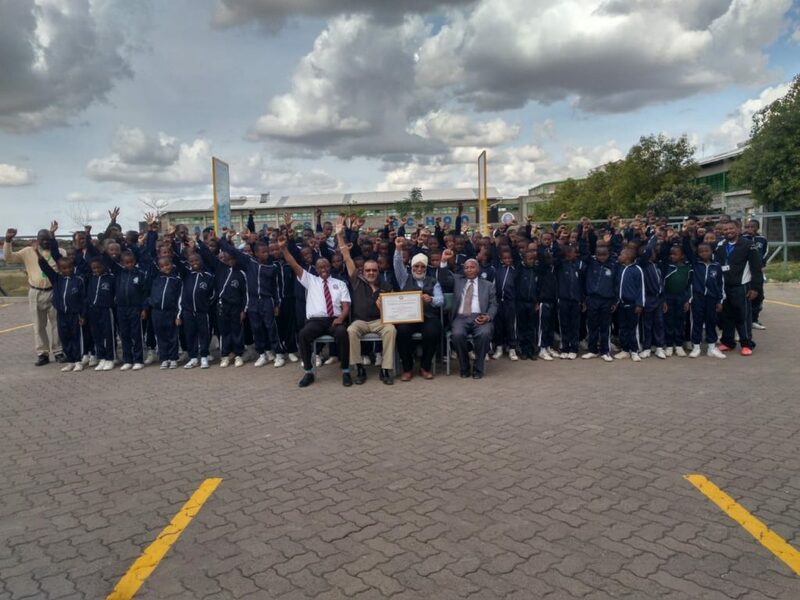 This is to attest that Sathya Sai School, Kisaju, Kenya is hereby granted the status of Accredited Sathya Sai School. 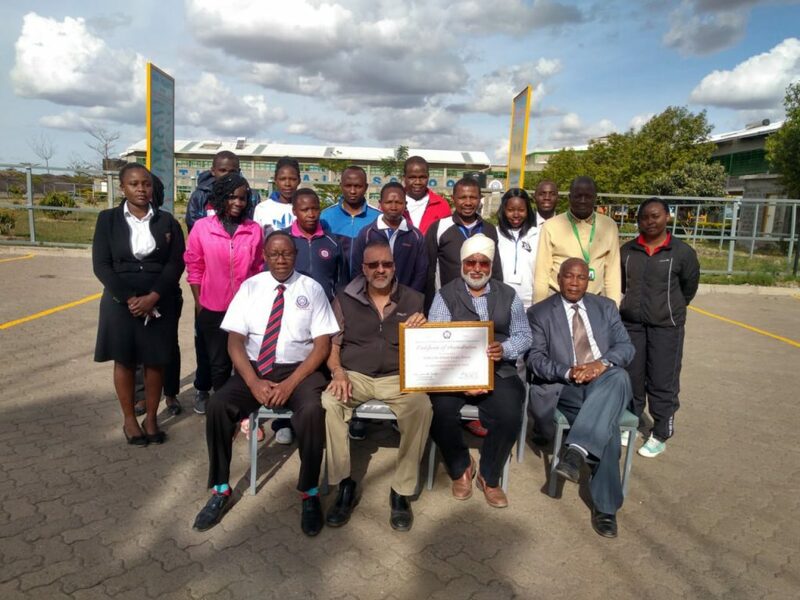 The Certificate may be printed and framed as desired. 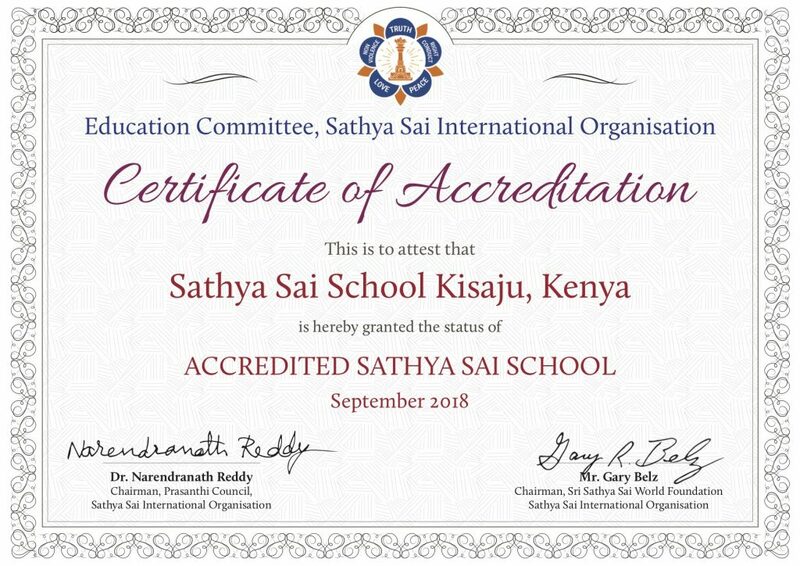 This is the culmination of many years of dedication and hard work on behalf of the School’s management, teachers, students, and well-wishers and a joyous occasion for entire Sathya Sai School- Kisaju fraternity on receiving Accreditation from SSIO Education Committee.